Is anyone even still out there? I don’t blame you if you’re not. I guess I unintentionally took most of the summer off. I do apologize for not giving you the heads up and just disappearing like that. I have been very busy though! Good news, we finally sold our house! I feel pretty relieved as we were beginning to feel trapped here. Although now that we have the freedom to leave, we’re not sure exactly what to do or where to go! I think we will move in with my parents until we figure out if we want to buy or rent for a little while. I also have some BIG and exciting news to share with you all soon! And no, I am not pregnant… Sorry for the cliffhanger, but you’ll just have to be patient until I can let the cat out of the bag. Soon, I promise! In other news, I have followed Joslyn’s blog for some time now. My favorite part is when she does her column, ‘Scenes from the Weekend‘, where she shares little snippets from her life and home. 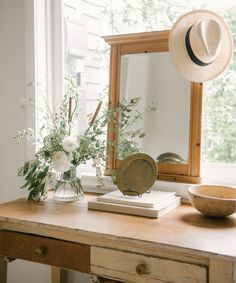 I could always tell that she must have a great home from the small snapshots of beautiful vignettes and displays – But I have long been dying to see a full home tour. And yesterday I got my wish! Joslyn’s home was featured in Rue Magazine’s August edition. Click here for more photos and the interview and here for outtakes from the photo shoot. Pretty great, right? Told you. Also, I have to apologize for leaving you again, but we are off tomorrow for a full week of camping by the seaside! Dustin worked really hard to get our vintage Boler ready to use for the trip. It is still a work in progress, but it’s liveable! I promise to show you some photos when we get back. I’m also going to pop in to make a big announcement (and I mean BIG)! So stay tuned. Hello and happy Monday! It’s happy because the sun is shining outside my window again. I am really hoping now that summer has officially begun, the sun will decide to stick around for more than a day or two at a time. I am more than ready for the lazy days of summer! 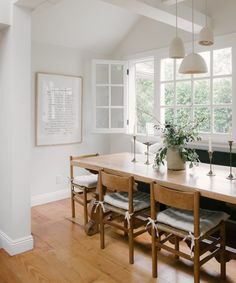 I thought I would share the home of Maxwell Gillingham-Ryan, the designer who started the popular website, Apartment Therapy because it reminds me of long and happy summers spent at camp as a kid. In fact, his house sits on half an acre adjacent to his mother’s 18 acre property which just so happens to be a former summer camp. How perfect is that? The family has since built a barn and not one, but six (!) yurts on the property. Sounds like a summer dream alright. Amanda Peet’s California Boho Home. Hello! How are you all doing? The sun has finally decided to come out and play here on the West coast and I couldn’t be happier. I just got back from a long walk with my girl and I am hoping to take her for her first official swim in our pool after she wakes up from her nap. We’ve got to get as much use out of that pool as we can before we are outta here for good! I say that like it is going to happen any day now (which it might; fingers crossed! ), but the reality is, we haven’t had any serious bites on our place yet. The market for condos is just not doing too great right now, and couple that with the fact that we are selling a 1 bedroom loft (which is only going to appeal to a limited number of people). All this means we are just waiting for the right person to come along. Sooner, rather than later, pretty please. Because our home is for sale, I haven’t wanted to put more effort, time and/or money into continuing to decorate and improve it. But, I’ve got to tell you, it is driving me nuts! I mean, it looks cute. We purged a lot of the clutter awhile ago, so it is simple, and clean. But as someone who loves to decorate and gets bored with a room looking the same for more than a month, this is torture! And seeing the abundance of beautiful homes on blogs and pinterest these days is only making it worse. I guess I will just have to consign myself to drooling over other peoples homes until the time comes… on the plus side, I should know exactly what I like and don’t like by the time we finally have a house! And I really like this home, owned by actress Amanda Peet, featured in Vogue. Whew! This week just flew by! I feel like I say that every Friday… but it’s true. Especially lately, as I have been a busy bee getting ready for the Scout Market coming up. Only a week away! Yikes! I hope you all can make it out. There are some great vendors (as usual). It’s going to be a great day of vintage and handmade shopping – not to mention supporting local businesses! I thought I would leave you with an adorable red brick barn. And it’s available to rent! Too bad it’s all the way in Australia, otherwise I would be there in a heartbeat. 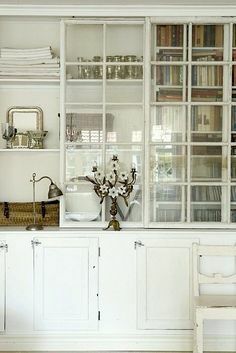 I love the fresh, simple European feel to it. Well, I hope you all have a great long weekend! I am not sure if the sun is going to hold out but it will be nice to get some relaxing in anyway. We have another couple of showings this weekend… I think we are getting close to selling this place! Cross your fingers for us! See you next week!